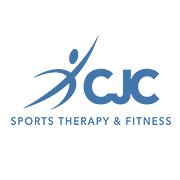 Welcome to CJC Sports Therapy & Fitness which is run by Christian Cole. This clinic is a professionally run business for the treatment of pain, injury, injury rehabilitation, and injury prevention. Injuries can occur anywhere; in the workplace or at home, not just on the sports field and Christian is professionally qualified to help you recover. Sports therapy and rehabilitation is concerned with musculoskeletal conditions arising from sporting activities. Sports therapists are highly trained to work with ordinary people as well as elite athletes. They specialise in working with a wide range of manual therapy techniques and focus on key areas such as injuries, sport injuries, remedial therapy, rehabilitation, health and fitness, first aid and touchline support roles. Christian graduated from the University of Chichester in 2013 and has experience of working with elite athletes, the Armed Forces, spinal injury patients, and has also worked in private practice. Christian gives advice to sport and exercise participants about how to train and compete safely, as well as treating injuries and assisting with rehabilitation. His aim is to prevent injuries, build on core stability and to help those who are injured to return to full fitness. Christian has played competitive Ice Hockey from the age of five and trialled for the England and Great Britain Teams at junior level having been given the accolade of being one of the UK�s top net minders for his age. A self-confessed fitness & health enthusiast who strives to be in consistent peak condition, Christian is the current net minder for the Solent Devils Ice Hockey Team, a semi-professional team based in Gosport, which plays in the English National League - Division 1. His own experience of sport related injuries both as a junior and as an adult, has given him a personal insight into the frustrations of not being able to compete in sport due to pain and injury, together with practical knowledge of the rehabilitation necessary to return to the physical demands of playing the sports we love. �	Examine and assess injuries and deal with traumas. �	Rehabilitate injuries, by using manual therapy techniques, apparatus and electrotherapy. �	Design and monitor rehabilitation programmes appropriate to the injury and/or sport and level, including strength and conditioning. �	Advise patients, players or athletes about diet and nutrition. �	Conduct assessments for readiness to compete and identify supportive exercises prior to an event or fixture. �	Work alone, or with coaches, trainers and/or fitness advisers to implement exercise, conditioning, core stability and injury prevention programmes, so that athletes, players or participants reach and maintain peak performance. �	Coordinate referrals with other practitioners, liaising with other health professionals in the sports sector and in mainstream medicine.